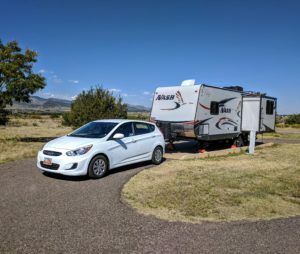 8 Weeks as Full-time RVers! It’s been several weeks since our last post. The past few days we’ve reflected a bit on what we wanted to convey in this entry. 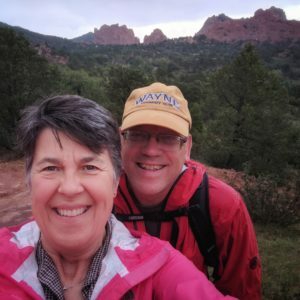 It is our hope that what we share from our experiences will help others who are considering a full-time RV lifestyle. We are still newbies and will consider ourselves as such until we have at least a year behind us. The reality is that our July 29-September 2 Midwestern Loop schedule didn’t permit enough “down time” for spending at our campsites. We wouldn’t trade visiting our family and friends for anything. Instead, we should have tweaked our schedule. It’s one thing to have a road trip with just a vehicle, but an entirely different situation when towing a trailer that is one’s home! In retrospect, we needed the extra time to decompress from the pre-launch frenzy. We are now viewing the Midwestern Loop as our “shake down” trip. Literally, we had some screws loosen in the trailer and a fault develop with our truck bed topper! We also had a good dose of reality those first six weeks going from one campground to another and refining our abilities as far as unhitching/hitching and setting up/breaking camp routines. After 44 years of tent camping, this requires a different skill set! 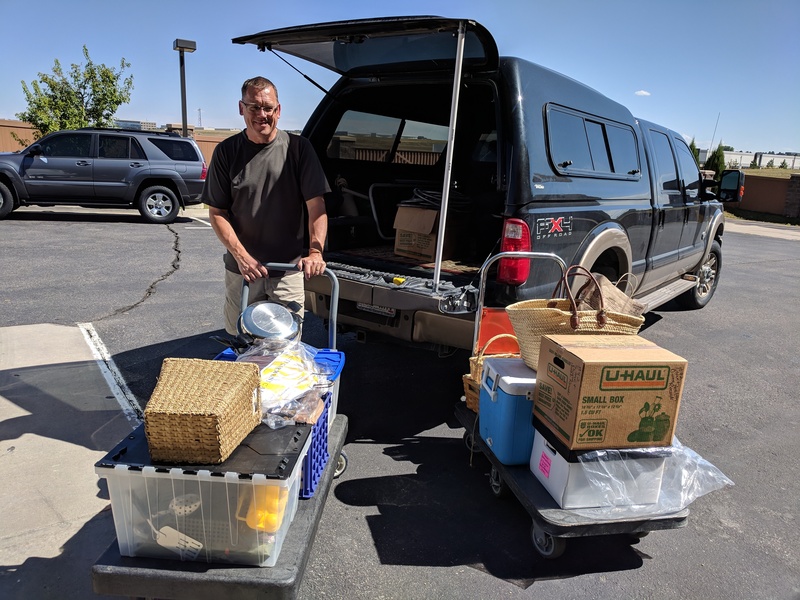 Problem solving through various trouble spots has helped us become better acquainted to the nuances of owning a trailer and big diesel pickup! Alas, when we arrived in Colorado Springs on Labor Day, we spent several days as tourists with dear friends of ours from Pennsylvania. Our daughter and son-in-love drove down from Denver to share in part of one afternoon. 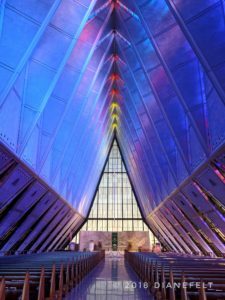 It was fantastic to hike the Garden of the Gods, drive up to Pikes Peak, tour the Cave of the Winds, and witness the beauty of the Air Force Academy chapels. 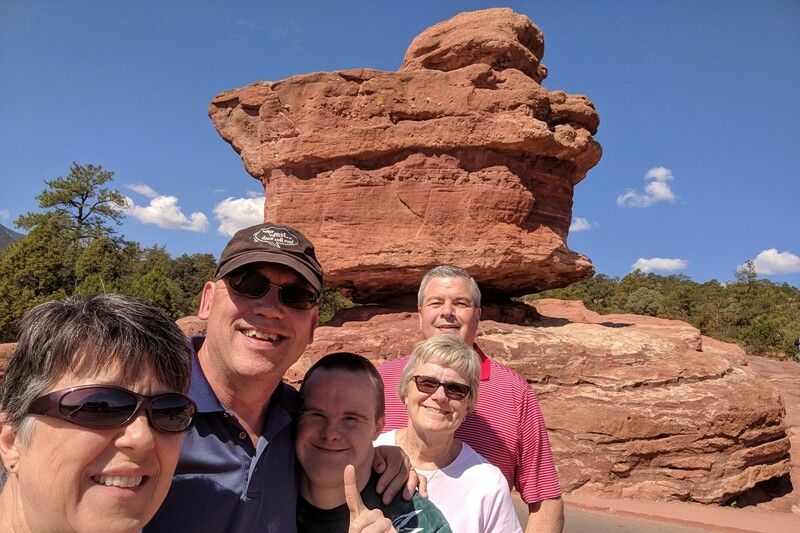 Balanced Rock, Garden of the Gods, Colorado Springs with our Pennsylvania friends. A few days later we shifted gears to a week’s stay in the Denver Metro area at Chatfield State Park. We had previously scheduled dental, doctor, and truck oil-change appointments knowing that we’d be back in September. Having time with family was the icing on the cake! 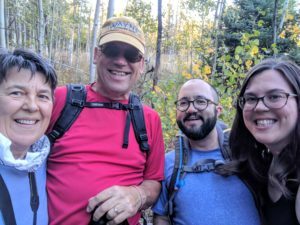 Our daughter and son-in-love joined us for camping and hiking at Golden Gate Canyon State Park! 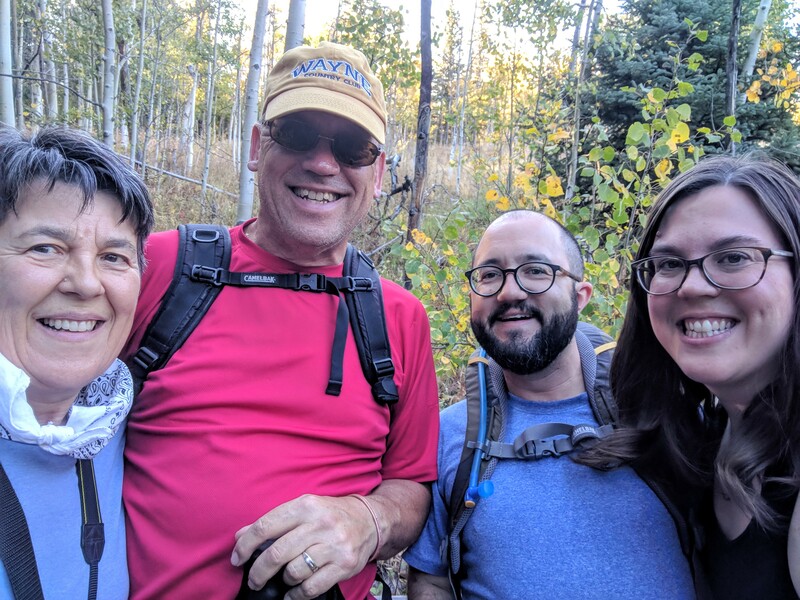 Golden Gate Canyon State Park, hiking with our family. The irony of our return to Denver is that with each appointment for the truck, we found ourselves needing to schedule more time in Denver to address truck issues. Thus, our time was extended and reservations to camp at Rocky Mountain National Park were cancelled. Our four-month old SnugTop topper had a component break on the rear window when we were in Kansas. 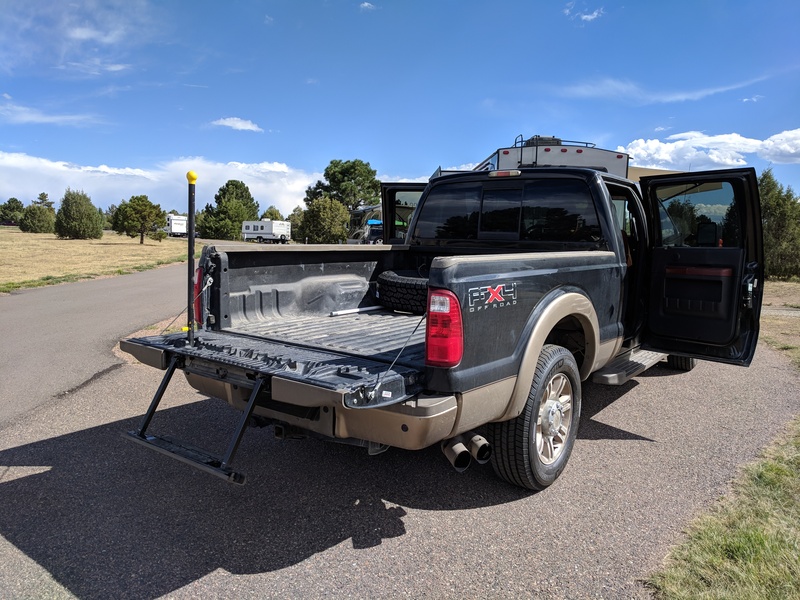 The topper was removed by our dealer in Littleton and freighted back to the manufacturer in California for repairs. It’s due back in two weeks. 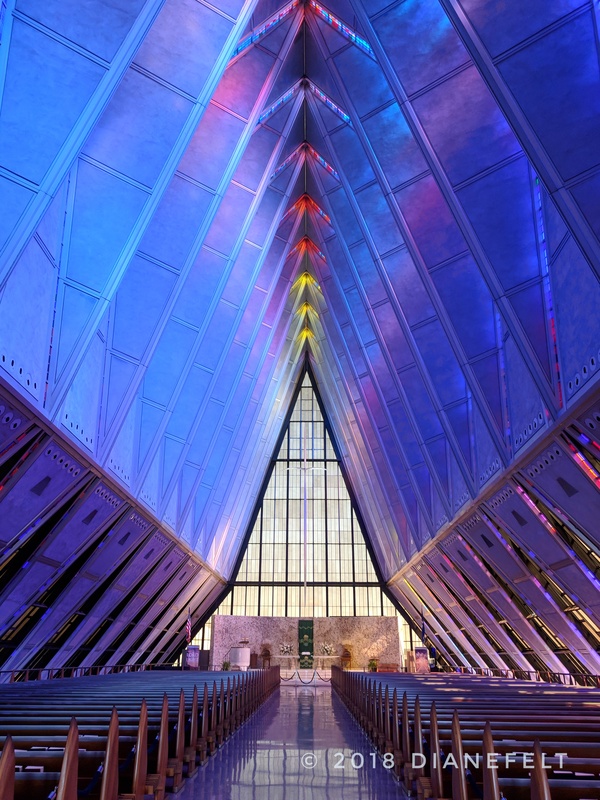 We will return! Back to storage we go with items from the trailer or bed of the truck! No topper makes a naked looking truck! At least we did some reorganizing and donated more items to ARC! 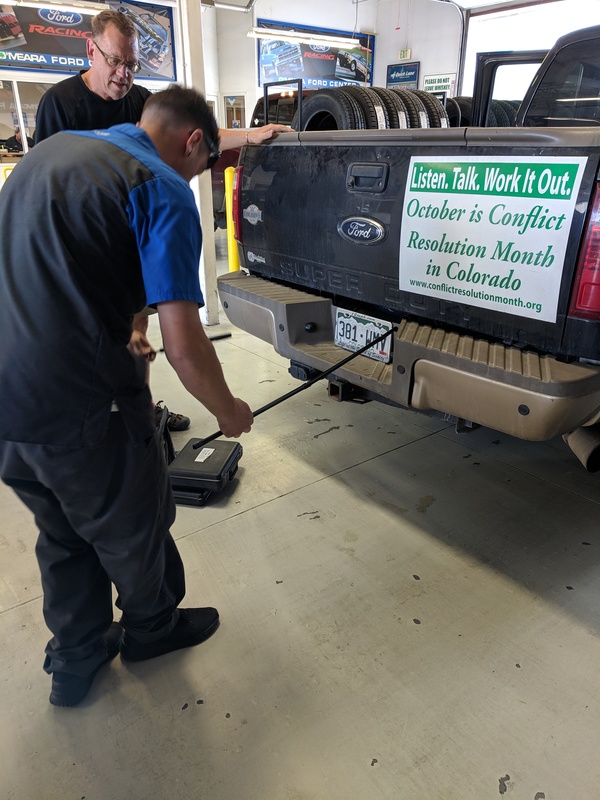 At Big O Tires, we had a new set of four tires installed and decided to replace the spare too. Oops…the spare tire “key” wasn’t left behind by the previous owner of our truck. (Admittedly, we assumed that everything for changing a spare was packed with the tire-changing kit. Used truck buyer fail on our part). It took some doing with a trip to a different Ford dealer that had a “key” and removed the old spare for us. Back to Big O we went to have the new tire installed on the rim. We left Denver last Thursday to head to the mountains for what we thought would be three weeks only to be faced with a truck engine that was losing power on steep inclines. The turbo boost wouldn’t engage. 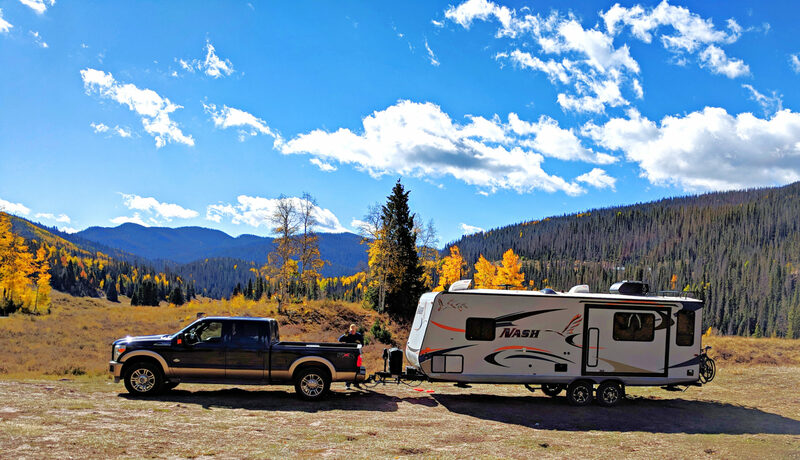 Fortunately, we made it to Golden Gate Canyon State Park campground, where we stayed for three beautiful days. We were able to schedule a service appointment at our Ford dealer on Tuesday of this week (one week after it was serviced for an oil change) plus get a rental car for a couple of days. Thankfully the drive back to Denver was mostly downhill. Answered prayers were being able to reserve a spot back at Chatfield State Park and having the truck repaired! Have a Plan B at all times. 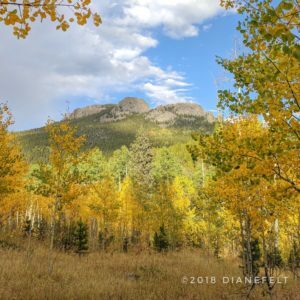 Autumn and winter weather are around the corner. The list looks good. Now to put these into practice. Living “Life at the Speed of Sanity”!